Provides high strength, fast bond to just about every surface. Bonds plastic, wood, metals, ceramics, leather, porcelain, card, jewellery. Tube comes with re-sealable cap. 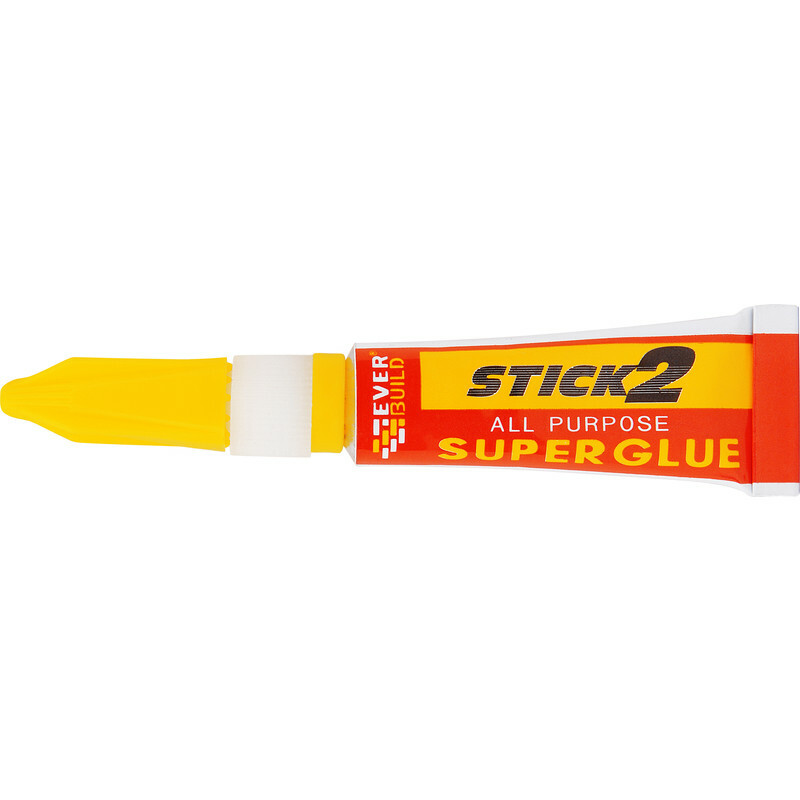 Stick 2 All Purpose Superglue 3g is rated 4.8 out of 5 by 4. Rated 5 out of 5 by Migue1 from Perfect Does exactly what I needed. Rated 4 out of 5 by Johnboywalton from yes, it sticks alright. its super glue! It stuck what I needed it to stick and it was quick! Rated 5 out of 5 by Toolstationisthebest from Very Sticky Only glue you will need . Caution extremely runny . Rated 5 out of 5 by johnbikemad from Really Good Value I have bought a few in the last year great value does what it should and at a tidy price.